After impressively handling USC (5:39), Nevada now plays the biggest non-conference games in years against Arizona State (48:29). A matchup with Grand Canyon follows (1:08:35). Tipsy Elves co-founder Nick Morton, a Reed grad, discusses Shark Tank, his exploding company, and his Nevada fanhood (19:20). Nevada football is going bowling (1:17:52). 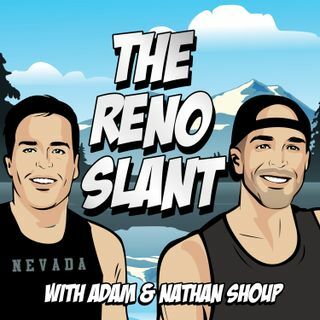 For slants, the Shoups chat recent football transfers, Nevada’s conference record, and Seattle hockey (1:21:52).